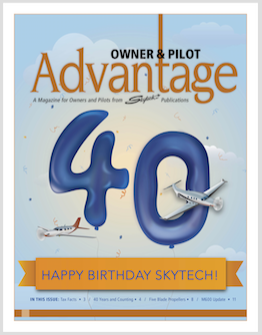 Advantage Magazine Past Issues | Skytech, Inc. Flying with the Family Pet – Tips and tricks for safe and enjoyable air travel. Paradigm Shift: Examining the trends in General Aviation over the past twenty years that have led to the success of single-engine turboprops. Preparing for the Unthinkable: Take time now to be fully prepared should an accident or incident ever occur. The Cost of Connectivity: Cabin internet options are now more accessible than ever. This article takes a look at two popular options. “Is a Business Aircraft in Your Future?”– A look into the parameters needed to perform a solid aircraft travel analysis. “BARR: Maintaining the Privacy of Business Aviation” – Outlining the aircraft n# blocking program and the threats to it’s future. A review of the PiperJet Altaire which is primed for success in both the personal and business aviation markets. The importance of routine compressor washes in the battle of corrosion and sulphidation. A breakdown on the status of ADS-B and what it currently means for aircraft owners. Skytech’s Management Services: Skytech offers a “Turn-Key Management” approach for our customers. Just tell us where and when and we’ll handle the rest. Behind the scenes of what happens during a turbine engine overhaul. A look at the differences between Composite and Reflective RADAR images. Turbines, Temperature and Torque: The effect temperature and torque plays to the longevity of your engine. “The Importance and Value of Detailed Maintenance Records for Part 91 Single-Engine Turboprop Aircraft” – Cover – Important considerations for maintaining and tracking your aircraft’s service. 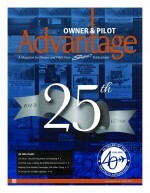 “Skytech Advantage Advertorial” – Page 11 – Support aircraft minimize downtime and simplify service event transportation. “Word to the Wise” – Back cover – With Prist: An overview of Fuel System Icing Inhibitor (FSII) additives. “If Buying a New Airplane is Currently Out of the Question, How Can You Make Your Current Airplane Like New?” – Cover – Available enhancements to the owner looking to upgrade their airplane. “Thinking About Moving Up to a PT6?” – Page 10 – An overview of PT6 turboprop engine operation for the aspiring pilot. “Word to the Wise” – Back cover – Strike a balance: The importance of dynamic propeller balancing. “Stay Ahead of the Buyers and Your Competition” – Cover- Take advantage of favorable tax incentives to keep your business at the front of the pack. “The New G1000 Piper Meridian” – Page 6 – An overview of the new G1000 equipped Piper Meridian. “Flying with the Family Pet” – Page 10 – Tips and tricks for safe and enjoyable air travel with your four legged friend. “Can You Afford Not to Operate a Business Aircraft Today?” – Cover – Utilizing business aircraft in the promotion and growth of your business. “Plan Now or Pay Much More Later” – Page 5 – The value of routine maintenance for Part 91 aircraft. “A Good Pilot is Always Learning” – Page 10 – Programs and tools available for further aviation education. “The Importance of a Return to Service Test Flight” – Cover – Properly test flying an airplane returning from service is imperative to safe flight. “The Pilatus PC-12 NG” – Page 6 – An overview of the exciting enhancements in the new upgraded version of the legendary Pilatus PC12. 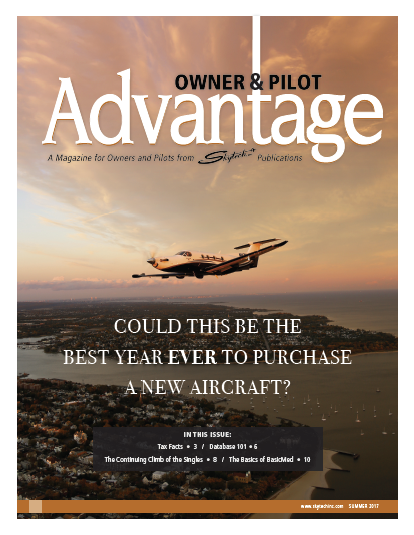 “Minimizing Risk and Ensuring Value When You Buy a Pre-Owned Aircraft” – Cover – Navigating the steps to ensure your purchase of a quality pre-owned aircraft is a success. “The New Six-Place Piper Malibu Matrix Gives You More Value In So Many Ways” – Page 3 – An overview of the new Piper Matrix. “What Owner/Pilots Need to Know about STC Development” – Page 5 – What is a Supplemental Type Certificate and how are they created? “In a World of Rising Fuel Costs, Don’t Forget the VLT!” – Cover – Turboprops have proven to be extremely efficient and capable – especially so in today’s environment. “Flights of Fancy: Travelling with Kids Onboard” – Page 5 – Tips and tricks for travelling with kids. 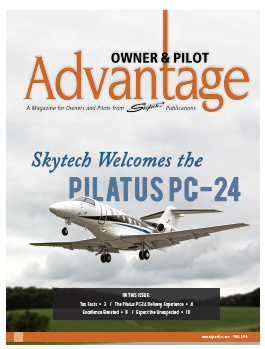 “Adjusting to Modern Advancements in General Aviation Maintenance” – Page 6 – Maintaining today’s technologically advanced airplanes and considerations for the owner/pilot. “Compatibility is Key to Success in Planning Your Avionics Upgrade” – Cover – What to consider when an avionics upgrade is in your future. “Enjoy Incomparable New Technology for Two Major Systems in Your 2008 Caravan” – Page 3 – 2008 marked two major upgrades for the Cessna Caravan. “Cleaning and Caring for Your Aircraft” – Page 5 – Do’s and don’ts of cleaning your airplane. “Want to Fly Your Own Jet but Don’t Know All That’s Required?” – Cover – An overview of the common steps required on the road to flying your own jet. 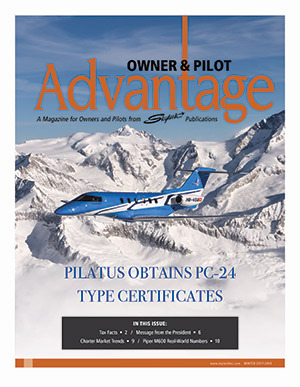 “Not An “Overnight Success” – The Pilatus PC-12 Has Become and Aircraft in Extremely High Demand!” – Page 3 – A short history of the rise of the Pilatus PC-12. “Tax Facts: How to Preserve the Confidentiality of Your Flights” – Page 6 – An overview of public access to your flights. “Stepping Up Towards New Maintenance Realities” – Page 7 – An overview of the maintenance differences a piston pilot would experience when stepping up to a turbine engine airplane. “Tax Facts: Structuring Enhanced Aircraft Tax Entities” – Page 6 – An Aircraft used in a trade or business may qualify for income tax deductions. “The Practice of Piloting” – Cover – Tips on remaining current and proficient for the owner pilot. “The Skytech Advantage. What Does This Really Mean to You?” – Page 3 – An overview of some of the AdvantagesSkytech delivers. “Word to the Wise” – Back cover – Information on dealing with icing conditions. “To Jet or Not To Jet” – Cover – If you are considering a jet, turboprop or piston powered aircraft, there are some basic purchase decisions to be asked. “Hot Section Inspections” – Page 7 – A basic understanding of what the engine hot section is, along with background information on its inspection requirements and what you can do to protect your investment. “Hazardous Weather Avoidance. ‘Tis the Season to Be Wary!” – Cover – A review of thunderstorm avoidance practices and equipment. “What To Do When the Unexpected Occurs” – Page 7 – A review of the initial steps involved in the repair process should an accident occur. “Word to the Wise” Back Cover – How to reduce unscheduled maintenance.